Sometime in my childhood, my least favorite babysitter gave me a gift that became my most favorite toy. 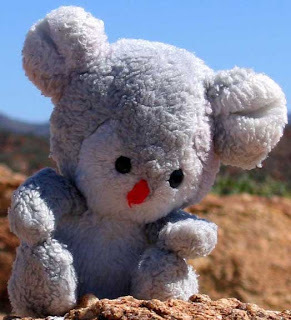 He was a small, grey and white koala bear, whom I uncreatively dubbed Koala Bear. This began a long journey together. He went everywhere with me for the next few decades of my life. He came with a red ribbon around his neck, which matched his bright red nose. That ribbon soon got pulled into service to wrap a birthday present, and he has been ribbonless since. I once contemplated looking for a new ribbon for him, but never got around to doing it. I guess I’m used to him the way he is now—slightly dirty, well-worn, a little threadbare in places, and obviously loved. He went with me on my very first backpacking trip up Mount Robson when I was seven. My red backpack had four pockets on the side—one for my water bottle, one for my mess kit, one for my gorp, and one for Koala Bear. In sunny weather he would hang out the pocket and watch the trail go by. In rainy weather I tucked him down inside. I have a picture of him up in a poplar tree with my brother at the first campground we stayed at. When we hiked the trail again a few years later, he got into the group photo at the Berg Lake Cabin. He went with me to Ontario when I was ten, and hung over the edge of the Welland Canal Lochs and looked down on Niagara Falls. When I was about seventeen, I decided perhaps I was too old to be carting a teddy bear around with me. For the first time, I went on a trip without Koala Bear. I was hiking with a group of friends and worried they might laugh at me for my mascot. For the next few years, he sat on my shelf, collecting dust, and occasionally getting shaken off and patted on the head before getting deposited back on the shelf. Between my third and fourth years of university, I decided to go for a huge adventure—a summer of traveling around Australia. This time I had no questions about taking Koala Bear. He was, after all, from Down Under. So of course he was going with me. I stuffed him into my duffel bag, along with everything else I needed for the next three months. I made myself at home in each hostel I stayed at by making my bed and dropping Koala Bear onto the pillow. He got lost in blankets, fell off beds, hid behind lockers, but somehow always made it into my duffel bag when I moved onto the next place. He was there for me to hug when I got homesick or just needed a small reminder of something familiar in a strange place. He also made it into the group pictures at the end of two tours I did—along with the tiger mascot of another girl, and the kangaroo mascot of one tour. 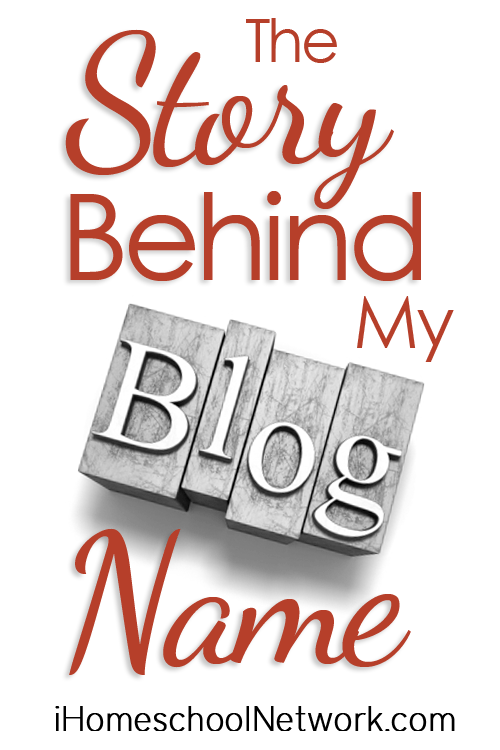 So when I thought about what to call my blog, it seemed obvious—use my mascot. This little bear who has been everywhere with me can embark on this next adventure with me too, into the world of cyberspace. And so I am the Koala Bear Writer. If you’re looking at my header now, you’re probably thinking… but this blog isn’t the Koala Bear Writer, it’s the Koala Mom. That’s right… I changed my blog name a few years ago, but I kept the koala in it. Read the rest of the story here. Australia is a big country once you get here eh? I hope you enjoyed your 3 months.